When you first built or moved into your home, you most likely had a healthy, green lawn that was either already there or had been installed following the final construction of the house. 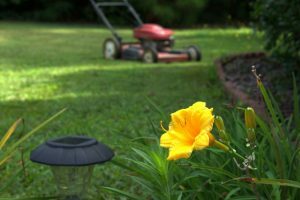 Over the years, you’ve tried to perform upkeep and maintenance on your lawn, but have found that no matter how much you mow, trim, and water, it doesn’t look as healthy as it did years before. If you want a lush and lively yard once again, call on Advanced Landscaping and Sprinklers, your providers of landscape maintenance service in CO.
We understand that you take great pride in your lawn and landscaping, but may not have the time to properly maintain it. If brown spots are creeping up and ruining the look of your lawn, or if poor drainage is making certain spots sink or wash away, give us a call today. If you have a vision for new landscaping, or need to update your underground sprinkler system, we’ll help you decide on the proper course for your yard. We offer competitive prices for our landscape maintenance service in CO and you can take advantage of early sign up discounts on everything we offer. Although winter is in full swing and you’re probably looking at a snow-covered lawn at the moment, spring will soon arrive. Take charge of bringing your yard back to life by calling Advanced Landscaping and Sprinklers today. When the weather is right, we’ll be there to make your grass and landscaping lush and lively again.